Several years ago while visiting my parents down in Longboat Key, Florida, my observant husband pointed out a rather odd looking bird perched atop a duck nesting box. I snapped a few photographs of the interesting red-eyed bird so I could work at identifying it later. 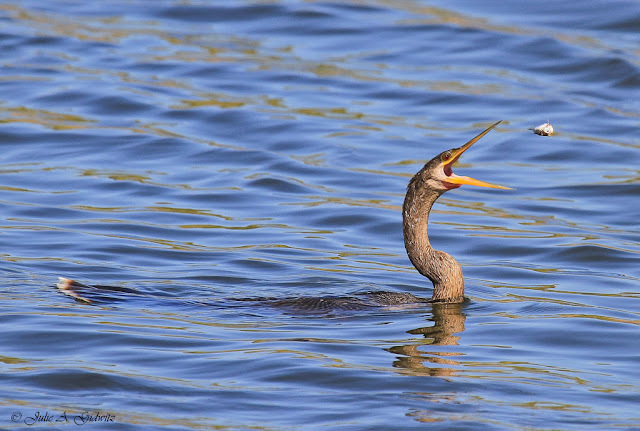 After doing some research, I found out the bird was an Anhinga. 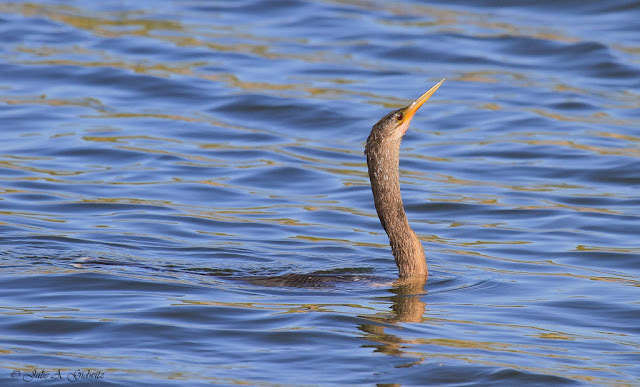 It is also known as the Snakebird for its habit of swimming with its long neck and narrow head sticking out of the water while its body remains submerged. This behavior gives it a very serpentine appearance. 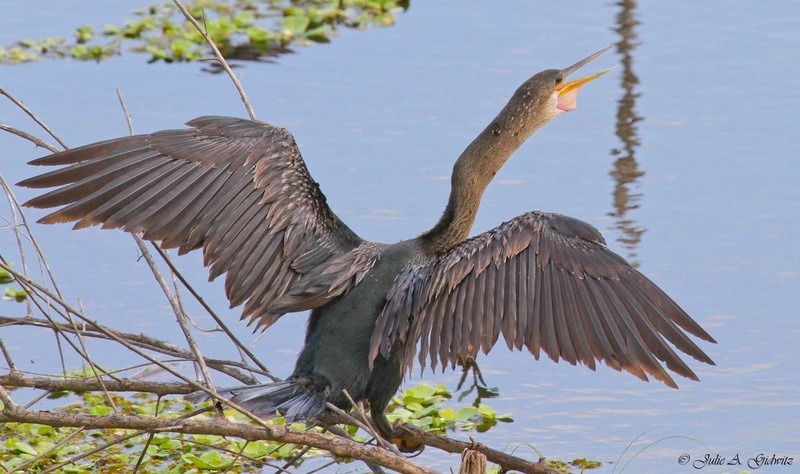 Anhingas are also known as Water Turkeys, owing to its long, buff-tipped, broad tail. 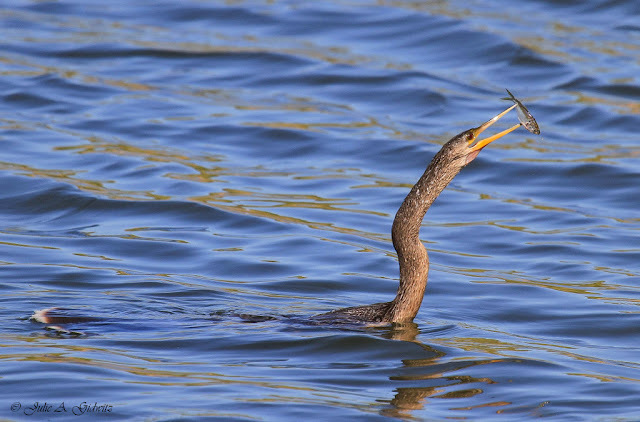 Other names include American Darter, Darter, Grecian Lady and Water Crow. 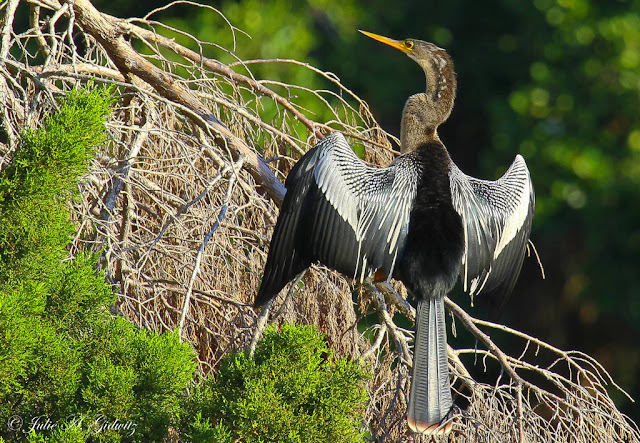 The word "anhinga" is derived from the Brazilian Tupi tribal name for "devil bird". Anhingas can often be seen perched on branches, long wings outstretched drying their beautiful feathers. 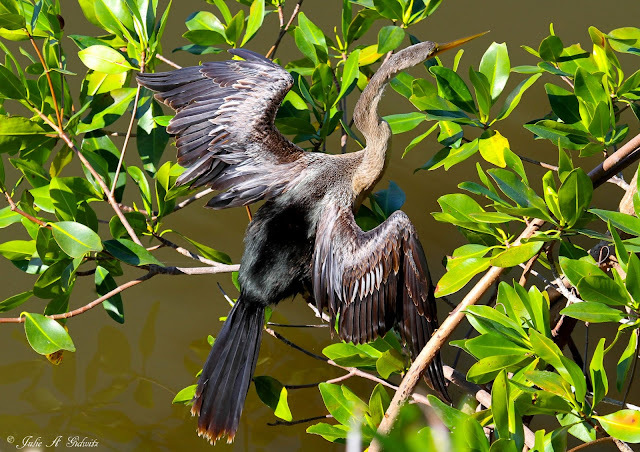 While in the water, Anhingas lose heat quickly because they lack an insulating layer of body feathers. By sunning themselves, the sun's rays assist in maintaining body temperature. Anhingas can be found in coastal areas of the Southeastern and South Central United States and live year-round in Florida. They can also be located in Mexico and Central and South America. This water bird prefers coastal aquatic habitats such as lakes, swamps, mangroves, marshes and slow-moving sheltered waters. As illustrated by the next sequence of photographs, prey is often speared with the Anhingas long, sharp bill, manipulated and flipped into the air so it can be swallowed head first. 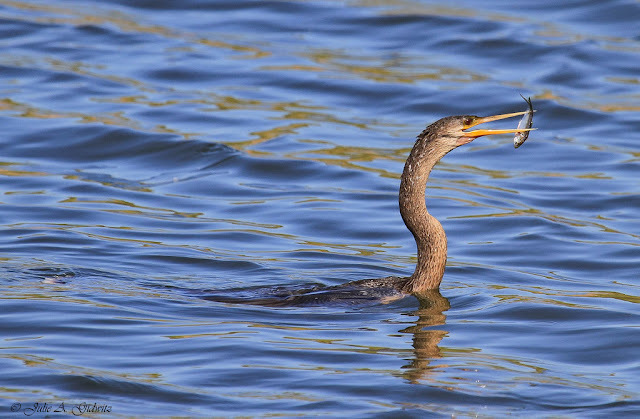 Sometimes the bird must swim to shore to pry the fish off its beak by rubbing it against rocks or limbs. Most waterbirds have oil glands which help waterproof their plumage. Anhingas do not. Because their feathers are less water resistant, they are able to swim and dive underwater more adeptly. 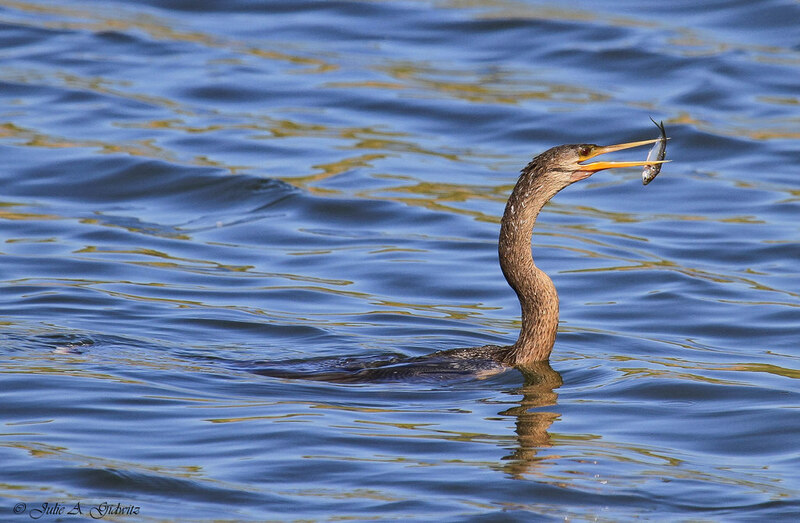 The Anhinga diet consists mainly of small fish but they also eat leeches, frog eggs, shrimp, amphibians, small snakes and young alligators. 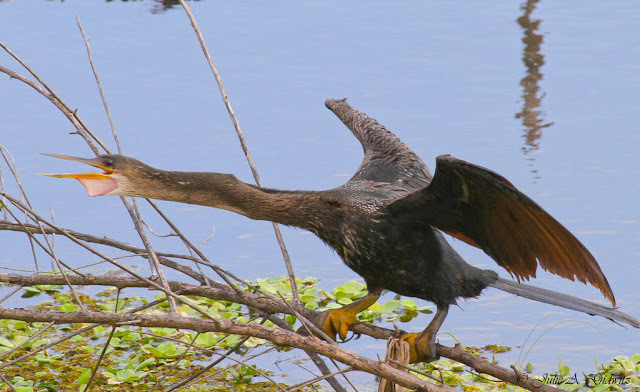 Anhingas share a common trait with cormorants and pelicans in that they have four webbed toes. Most other waterbirds have three. 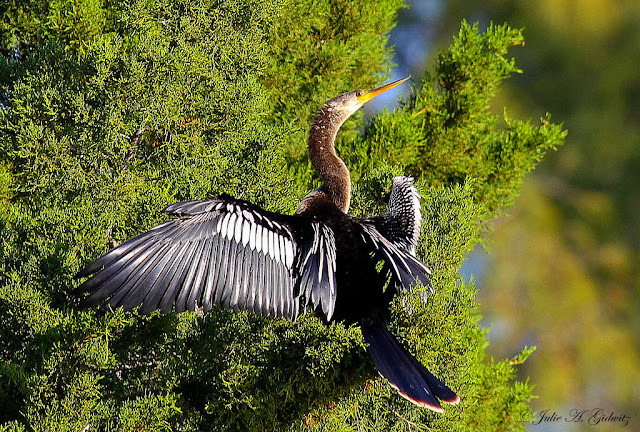 A graceful flyer, Anhingas often take advantage of thermals when soaring and can travel long distances without flapping their wings. Altitudes of several thousand feet can be achieved. Male Anhingas will often gather material and start building the nest. The female completes the nest of sticks lined with grass, green twigs and fresh leaves. She will usually lay 3 - 5 oval-shaped eggs. 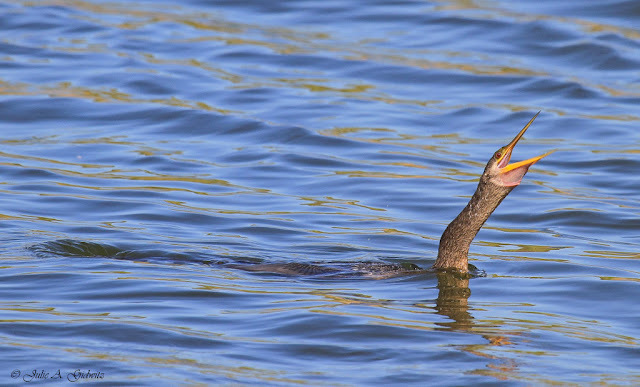 Young Anhingas can swim before they learn how to fly. In order to avoid danger, juveniles will jump into the water. On rainy days, these birds can be seen neck and head stretched skyward, keeping perfectly motionless. This behavior allows the water droplets to glide off its plumage easily. The shedding of flight feathers happens all at once for Anhingas, thus it is unable to fly for a while. While the new feathers grow in, the bird remains totally silent. So as not to attract predators to its location. 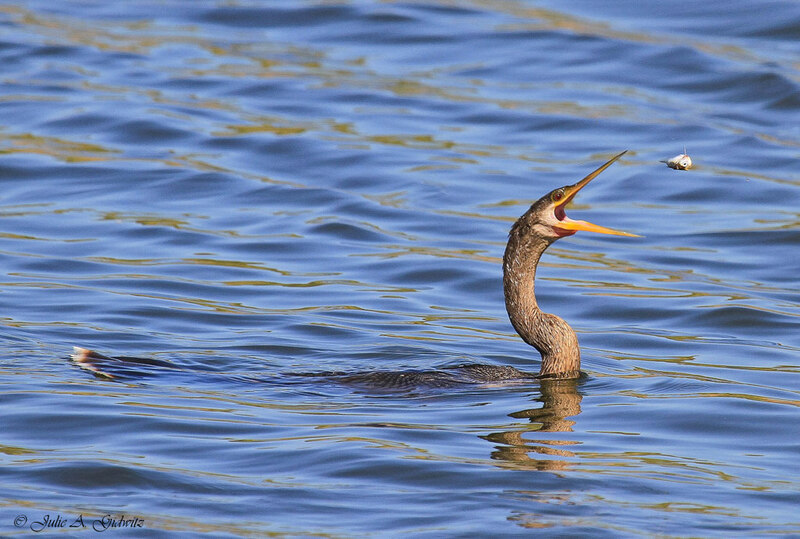 Anhingas are very fascinating birds, indeed! Fascinating facts about a fascinating bird! 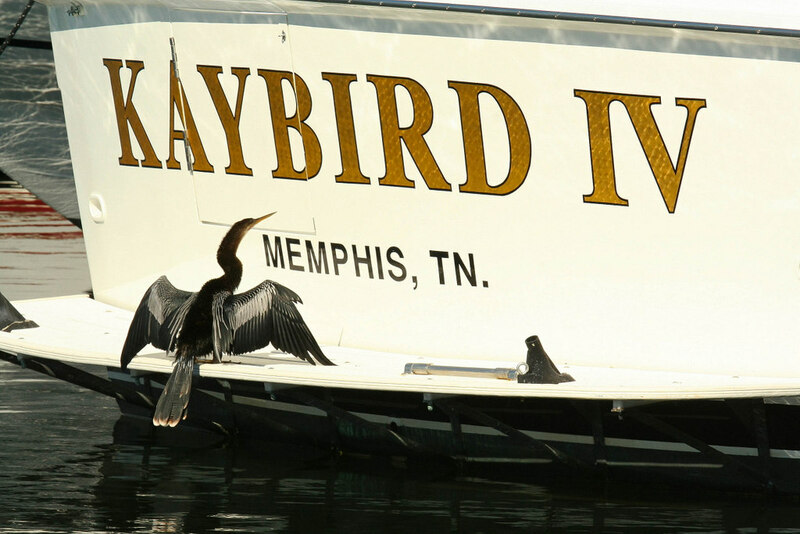 I love to observe Anhingas when I am in their habitat. They have always amazed me, as do your pictures! Great shots, Julie! Very cool stuff about this bird. They remind me of our Cormorants here but are quite different. Wonderful sets of pics. Love the fish acrobatics! Great shots! They have so much personality for such a simple bird. What a wonderful series of photos, Julie! I was able to see this bird when I visited Florida in 2003. I found it so exciting! Great info too, some of which I knew, and some I didn't! Stunning photos! Love this post. Anhingas are such beautiful, elegant birds! I'm happy I get to observe them regularly! You have so many great captures of them, especially the "fish toss" action shot! Thanks for sharing, Julie! Great post on a cool bird, Julie. Love the fish eating series!